While our family eats very little meat, we have a particular fondness for fish. Salt-baking is one of the few ways that we’ve found to cook fish without it drying out, and is easy enough for us to attempt after a long day in the vineyard. 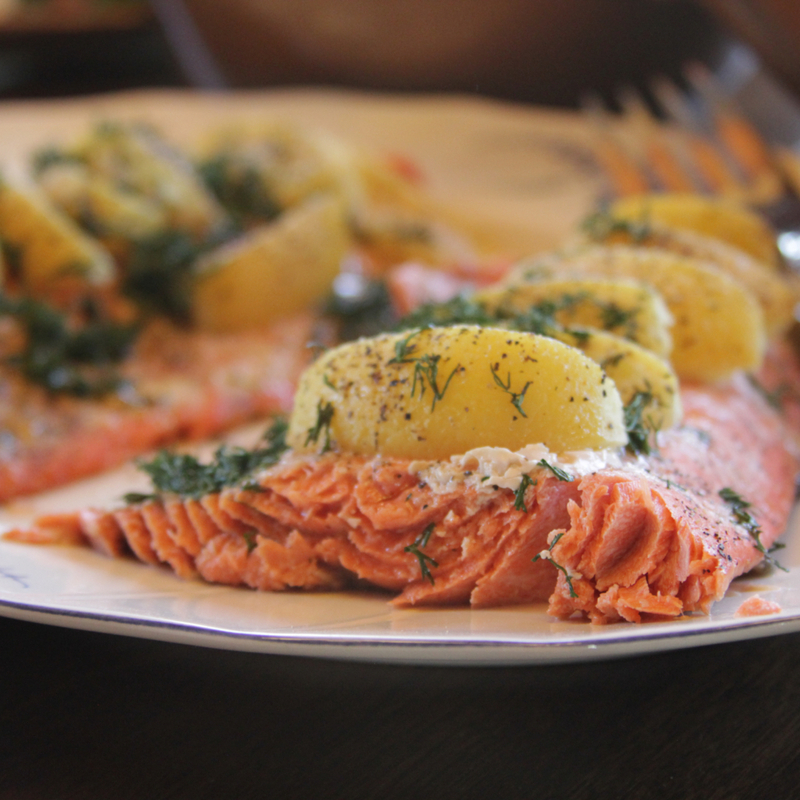 This recipe works with Salmon, Rainbow Trout, or any other fresh fish, but we find that Loch Etive Sea Trout, with its mild nutty flavor, pairs wonderfully with our Pinot Gris. Heat 2-1/2 cups kosher salt in a large skillet over medium heat for 5 minutes. Rinse fish fillets and pat dry. Season with white pepper and salt to taste. Skin side down, place the fish fillets on the heated salt bed. Covering the skillet, cook the fish for 12-15 minute, until cooked through. Make sure to leave the lid on, to help steam the fish. Garnish with fresh dill, lemon slices and additional salt and pepper to taste. Serve immediately with Stone Cottage Cellars Pinot Gris.